Larisa Shoigu meeting with colleagues in Medical College, Kyzyl. November, 7 2007- Larisa Kuzhugetovna, why did you choose the profession of a physician? - I am ashamed to admit it, but it was a spontaneous decision. My friends and classmates, Nina Kravtsova and Tanya Filippova were planning to go to medical school, but I vacillated between journalistics or mathematics, I was interested in the Novosibirsk mathematics school. As far as journalistics were concerned, Papa had a serious talk with me, telling me what I remembered for the rest of my life: as a journalist, you either have to be very good, or you’ll spend the rest of your life correcting proofs. Mathematics somehow spontaneously sloughed off. So I followed my friends into medicine. And I never regretted it. But we did not just dive in without thinking. We decided to test ourselves beforehand – can we or can’t we? And we tested ourselves in the morgue. More than 1000 census takers with blue briefcases and with ties are trying to visit every resident of Tuva during these 11 days. 80 years ago, one of the strongest scientists-statisticians, professor of Moscow finance institute, Pavel Petrovich Maslov, spent a year and half on the same project. The doctor of economical sciences took the proposal to carry out a combination demographic and agricultural census in Tuvan People’s republic very seriously. In six months, he learned the Tuvan language, read everything that was ever written about the remote Uriangkhai, and went to Tuva. One of his books became the best children’s book of Russia in 2007. 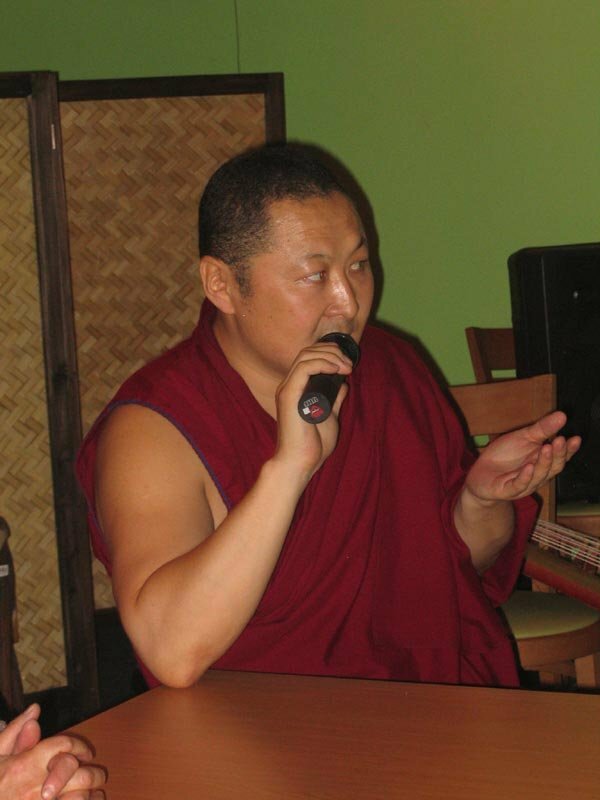 He is a Doctor of Buddhist philosophy, who studied in India at the Drepung Goman University. He graduated from the department of psychology at one of the colleges in Moscow. He has been visiting Tuva these past few days, accompanying the monks from the “Drepung Goman” monastery on their Russian tour. His Buddhist name, which was given to him by the Dalai-Lama XIV, is Tepchoy, which is short for Tenzin Choyzin – Keeper of the dharma and knowledge. - The stories you write are very unusual. Tell us, please, how you started to write. - I started writing five years ago, because there was an obvious need for literature for children. Everybody liked the first book, “Stories for baby elephant Lanchenkar”. Representatives of tour business of Tuva went to Gornyi Altai to learn about the basics of eco-tourism and tourism in specially protected natural territories in Gornyi Altai. The opportunity for this exchange of experience was offered by the WWF project “Protected territories – for a living planet!”. 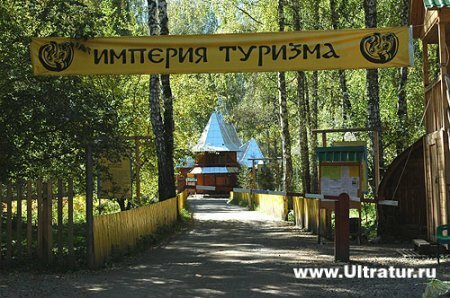 The year 2010 has been declared the Year of Tourism in Tuva. 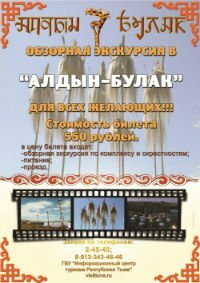 Unfortunately, the development of tourism in Tuva is slowed down because of inaccessibility of the area, and of lack of infrastructure and experience in this type of work, along with weak advertisement of Tuva as a touristic product. 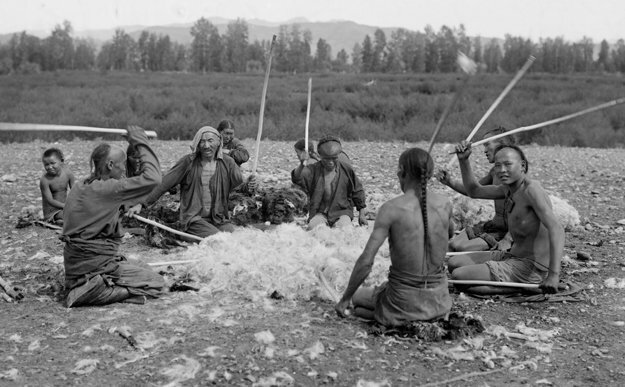 However, for example, the neighboring republic Altai successfully arranged conditions in which the remote region (lack of aviation) turned into a Mecca of internal tourism, into a true tourist hallmark of Russia. On October 15, at the National Museum of Tuva a unique exhibition of the famous collector from Krasnoyarsk, Vladimir Efremenko, “Beetles and butterflies of the world” will open. The entire collection holds more than 18 thousand specimens collected in various corners of the world. Only about 2000 specimens will be exhibited. 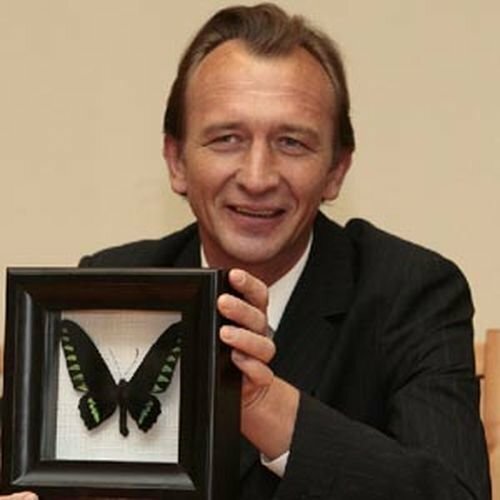 Vladimir Efremenko has been collecting for more than 20 years, and the collection includes very rare species of butterflies and beetles. Last August, Kyzyl residents Eres and Natalia Dambar-ool became witnesses of a tragedy which clearly demonstrated the brutality of the law of survival among the denizens of wild nature. The family was traveling towards Shagonar. Suddenly they both noticed that a raptor bird nearby was shaking something viciously. As they got out of the car, the bird flew away, abandoning its prey. 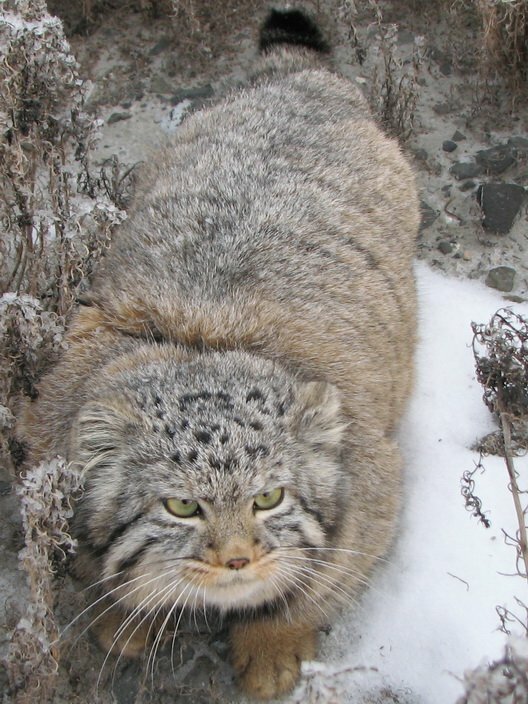 Eres and Natalia approached closer and found out that the bird’s victim was a tiny manul kitten. 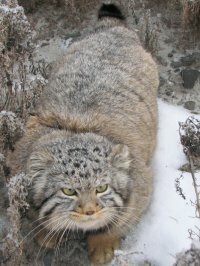 (Manul cat, Pallas’s cat, Otocolobus manul, Felis manul). The Dambar-ool family did not think of leaving him there in such a condition, and decided to save the mangled kitten and bring it with them. 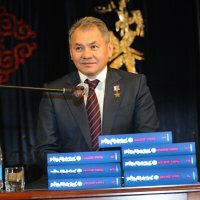 The history of one of the most famous photographs from the war years, which has been a part of the exhibition dedicated to the Great patriotic War in Kyzyl, and which has become the main symbol of the Moscow exhibition “Tuvinian People’s Republic – everything for common victory!” was finally revealed today. The photo was often exhibited without any captions at all. The caption in Tuvan museum was brief: Boris lama and Usov. 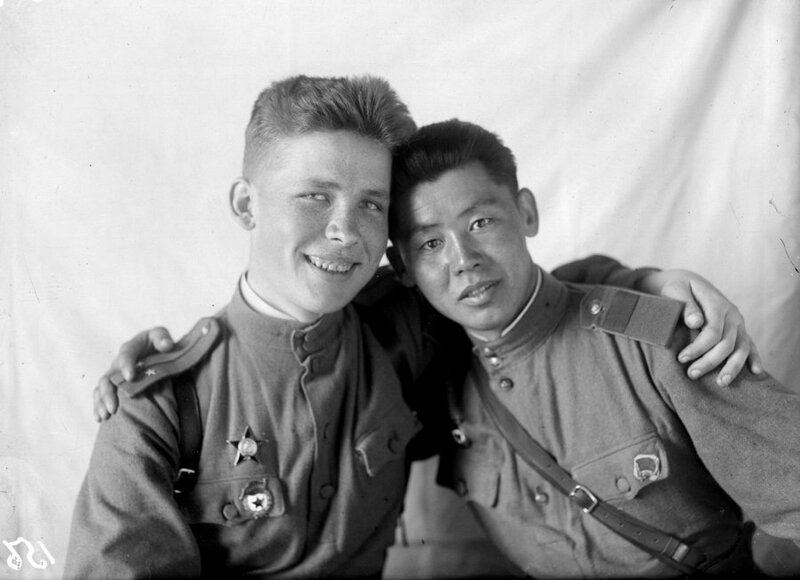 And even though there was a lot written about Boris Shombulovich Lama, the orderly of the commander of Tuvan cavalry squadron, Adyg-Tulush Kechil-ool, there was nothing at all known about the other hero of the photograph. 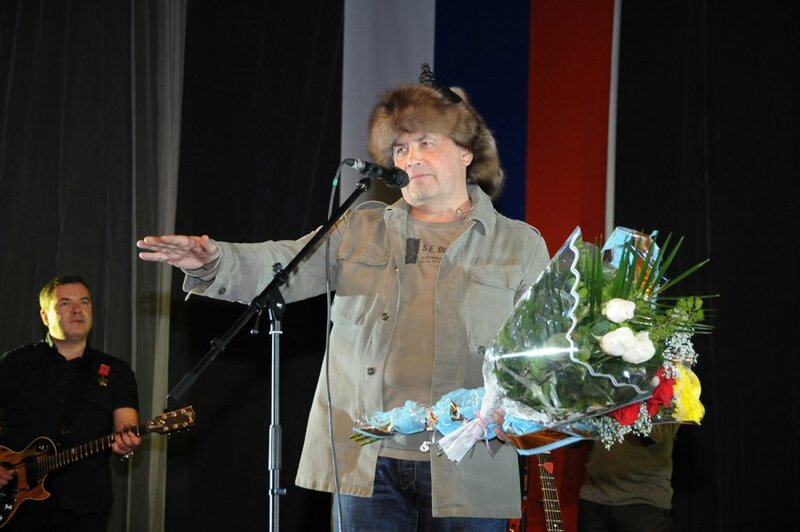 The co-chairman of the highest council of the “United Russia” party, the head of Ministry of emergencies of RF, Sergei Shoigu has become a laureate of the State Prize of Republic Tuva. 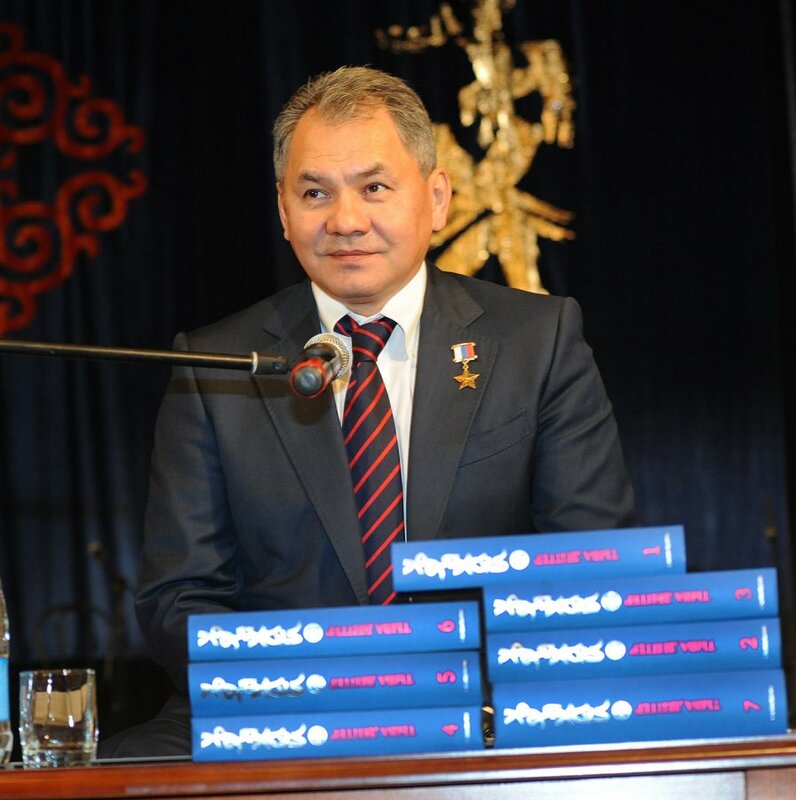 Yet another prize has been added to Sergei Shoigu’s many awards – he has become a laureate of the State Prize of Republic Tuva for his great contribution to the development of his small native country. The award was presented on Monday, 27 September, by the head of the republic Sholban Kara-ool during a ceremonial presentation of the anthology “Uriangkhai. Tyva Depter.” (“Tuvan notebooks”), which took place in the building of the Theatre of Music and Drama, which just re-opened after a capital renovation.